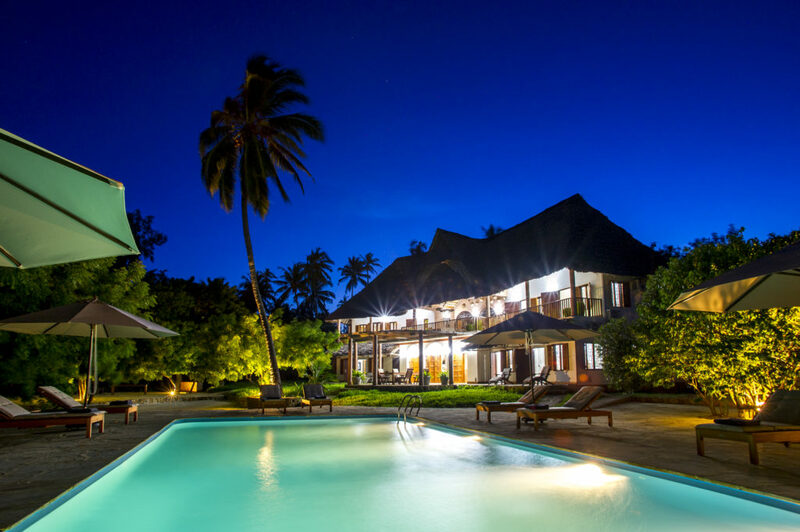 Tides offers you an exceptional beach destination to spend your honeymoon, corporate off-site, yoga retreat, family re-union, wedding away from the crowds of Zanzibar and with small team of dedicated hotel professionals looking after your every need. With a choice of rooms to match your needs be it our Beach Front Cottages with private and secluded sunbathing area, or our grand Upepo Suite with king size Zanzibar bed. We have hosted a number of events and arranges meals be they a dressed buffet by the pool, or a Seafood BBQ on the beach or a formal sit down 4 course dinner, we can do it all. Our Chefs can even make a superb bespoke menus and our Housekeepers are experts and making the most amazing floral decorations using the beautifully coloured flowers found in the grounds of the lodge. If you would like us to organise a special event for your visit then please don’t hesitate to contact our team to discuss your requirements. Mawimbi Villa, with its generous layout, large gardens and secluded privacy makes for a perfect venue for families or friends holidaying, corporate retreats or intimate family festivities. Mawimbi Villa sleeps 12 in comfort in 4 wings allowing for easy sharing. For larger events, the Tides Lodge and Mawimbi Villa may be booked exclusively. Please contact us to help you plan your retreat at Mawimbi Villa and the Tides Lodge.